Kathy Kraninger, the president's nominee to lead the Consumer Financial Protection Bureau, has no experience in banking or financial services. WASHINGTON — Kathy Kraninger, President Donald Trump's nominee to take over the nation's watchdog for banks, credit cards and payday lenders, made her public debut in front of the Senate Banking Committee on Thursday, where she is facing extremely hostile questioning from Senate Democrats. Trump nominated Kraninger on June 18 to replace Mick Mulvaney, Trump's budget director, who has been acting director of the Consumer Financial Protection Bureau since late November. Mulvaney has taken the bureau in a more business-friendly direction than his predecessor Richard Cordray, President Barack Obama's director for the CFPB. Before her nomination, Kraninger, 43, was a relatively unknown mid-level bureaucrat working inside the Office of Management and Budget, overseeing roughly $250 billion in federal government programs. Before that she was a Congressional staffer working on budget and appropriations bills. 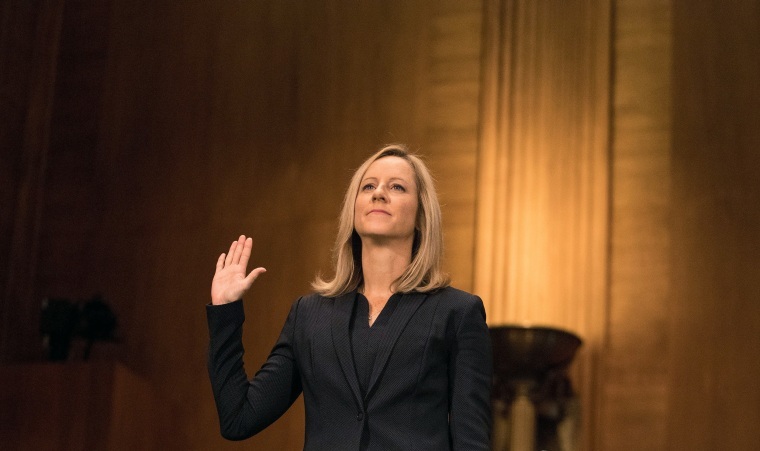 The White House and Republicans argue that Kraninger's experience at the OMB, arranging programs for large government departments like Homeland Security and the Federal Reserve, makes her qualified as a manager for a large government bureau. Thursday's hearing is Kraninger's first public appearance since her nomination. Her positions on various issues facing the CFPB — from the bureau's regulations on payday loans to how aggressive she would be going after big banks for wrongdoing — are unknown. Kraninger worked directly under Mulvaney, and is unlikely to take the bureau in a sharply different direction than he has done. Kraninger's prepared remarks called for the CFPB to be "fair and transparent" and to "empower consumers to make good choices and provide certainty for market participants" echo statements by Mulvaney, who believes the bureau's power is too unrestrained. One of Kraninger's biggest critics since her nomination is Sen. Elizabeth Warren, D-Massachusetts, who has vocally opposed her nomination from the start. The CFPB is Warren's brainchild — it was she who proposed such a bureau when she was a professor at Harvard University. Her questioning of Kraninger is likely to be the most dramatic of Thursday's hearing. Republicans hold a 51-seat majority in the Senate, and Kraninger's confirmation does not require Democratic support in order to pass. It is not clear when the Senate will vote on Kraninger's nomination. Republican Senators are expected to slow walk her nomination through the chamber in order to give Mulvaney as much time as legally possible in his current role as acting director.